intuVision analytics, on the edge. 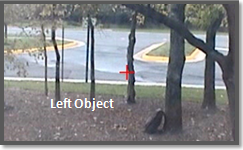 Add our intelligent object detection and tracking to your Axis cameras, robust analytics without additional hardware. intuVision's edge analytics are developed to run exclusively on the Axis Camera Application Platform (ACAP) with a wide range of Axis cameras for robust event detection in both outdoors and indoors views. 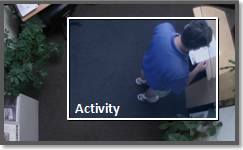 Analytics are easily setup via the camera's web interface and detected alarms trigger actions such as sending email notifications, play audio clips, and sending triggers for 3rd party devices. Working with the Axis scheduling tool, edge analytics can be activated when needed to secure your facilities or to enhance your services. With the intuitive interface you adjust a few simple settings, such as minimum object size and top-down or side view. You can see the detections in real-time to ensure tracking is working effectively, and make further adjustments. Events are saved on-board your camera, and can be viewed and exported, either by event count or relevant event information, such as vehicle speeds. 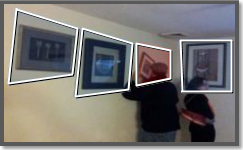 intuVision Edge Apps provide all in one event detection and management. Leverage intuVision graphing capabilities to review event information over time, export event charts for use in presentations or to share with others, and compare results between events on your camera. intuVision Edge offers flexibility in licensing to get you access to the events you need for the lowest price. intuVision Edge Basic - intuVision Edge Basic offers smart, reliable video analytics, optimized for the camera edge. Choose one from multiple event rules, including: Activity, Enter/Exit, Left-Object, Object-Taken, Speeding-Object, Wrong-Way, and Zone-Intrusion. 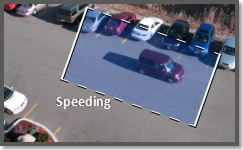 Person classification and rule settings provide high levels of event specificity, paired with advanced object detection/tracking for optimal results. 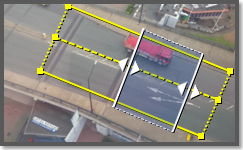 Bounding box overlays for detected objects renders configuration of parameters straightforward. For comprehensive event/alarm management capabilities, upgrade to intuVision Edge Premium. intuVision Edge Premium - Go beyond the basics with intuVision Edge Premium and run two event rules concurrently with full event management capabilities on the camera edge. View and export event count graphs, relevant event/alarm information, such as vehicle speeds. Detect events of interest using rules for Activity, Enter/Exit, Left-Object, Object-Taken, Speeding-Object, Wrong-Way, and Zone-Intrusion. 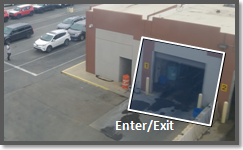 Person classification and rule settings provide high levels of event specificity, paired with advanced object detection/tracking for optimal results. 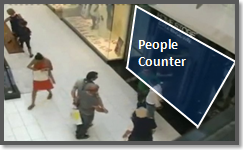 intuVision Edge People Counter - Track customer or pedestrian traffic with intuVision Edge People Counter at the camera edge. 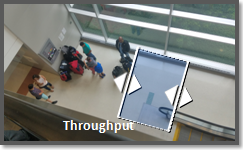 Using our state-of-the-art person tracking optimized to work in ingress/egress points such as doors or hallways; specially designed intuVision people counter provides accurate results with maximum flexibility. 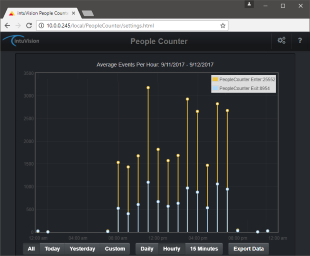 Count data is saved directly on-board the camera up to 90 days to allow viewing, exporting and graphing of counts with full event management functionality all at the edge. intuVision Edge Vehicle Counter - Manage traffic counts directly at the camera using intuVision Edge Vehicle Counter. State-of-the-art object and vehicle tracking is optimized to work in medium or light traffic roadways or intersections as well as at the parking lot ingress/egress points at maximum accuracy. 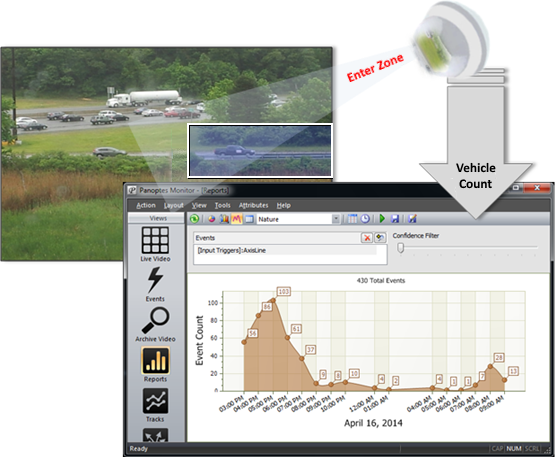 intuVision Edge Vehicle Counter stores count data directly on-board the camera for 90 days and included comprehensive edge event management functionality enables viewing, graphing and exporting the count data. 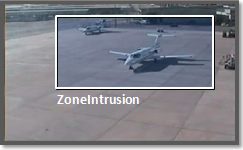 Please contact sales@intuvisiontech.com to enhance your Axis camera with effective and affordable event spies to protect your secure facilities. We are currently compatible with all Axis cameras with ARTPEC -4, -5 and -6 chipsets. Please contact us if you have questions regarding a specific camera or other chipsets.